We love being part of our local neighborhoods. 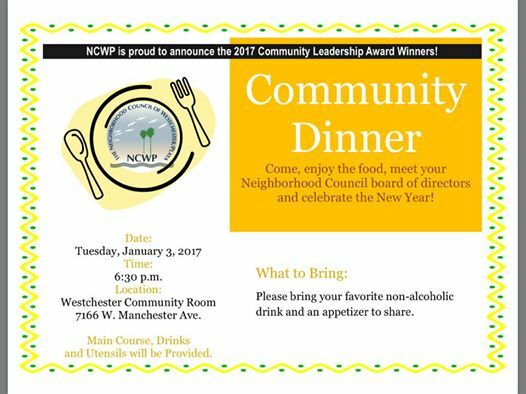 Join the Westchester/Playa community on Tuesday, January 3 for the Annual Community Dinner, hosted by Neighborhood Council of Westchester/Playa. Dinner is provided and guests are asked to bring their favorite appetizers and non-alcoholic beverages. What a great way to start the year off right with friends and neighbors by your side! The Fineman Suarez Team will be there with sweet treats in tow. Who will join us?